Welcome to our latest round up of what’s happening on Cornwall’s food and drink scene. 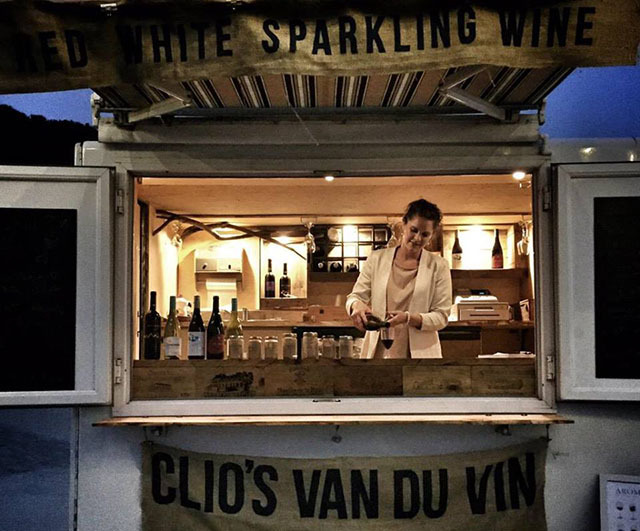 Clio’s Van du Vin will be parked up at Carlyon Beach this summer. Clio has two dates for wine tastings in June: On 4 June she will be guiding guests through a selection of English wines (to coincide with English Wine Week) and on 10 June the topic is ‘Winetasting: an introduction’. There are five other dates throughout the summer, and tickets for all of them are available online and are priced between £20 and £27. The first beach banquet takes place on the 9 July, and it will be delivered by chef Glynn Wellington of The Globe in Fowey. The second banquet (in August) is shaping up to be very cool too, with Matt Chatfield from The Cornwall Project bringing down some chefs from London to deliver each course. More details coming soon. We’re looking forward to visiting The Carew Arms in Antony, near Torpoint. Previously known as The Ring O’Bells, the pub is currently undergoing extensive renovation and plans to re-open mid-July. The pub is a collaboration between Emily Watkins, of The Kingham Plough in Oxfordshire, and Tremayne Carew Pole, founder of the travel and restaurant guide book series, Hg2 | A Hedonist’s guide to…. Joining the team is head chef Jack Clayton (previously at The Gurnard’s Head) who will be making the most of the produce available from the Antony Estate. Part of the building will be used as a General Store, a hybrid farm and community shop, which will offer both local essentials and the best of Cornish artisanal products, alongside a range of community services. The store will open from 8am and will include a café space that will serve proper barista coffees and snacks. The Loft Private Dining Room will be available for parties and celebratory dinners, as well as hosting film nights and other events. 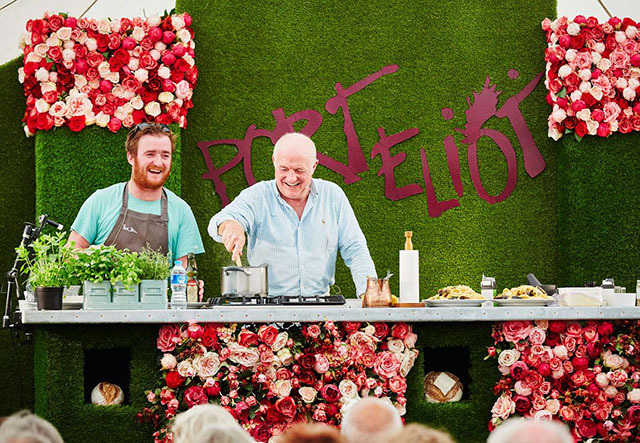 Details of this year’s food and drink at Port Eliot Festival have been announced, including a great line up of chefs both on the stage and behind the scenes. Russell Norman’s Polpo restaurant will be popping up at the festival, and Comins Chinese Tea House will reside in the Orangerie. Plus an Oyster Shack, countless street food stalls, wine and cocktail bars, a Skinner’s beer tent and the Sipsmith’s Bloody Mary ambulance will ensure you are very well fed and watered during the event. Russell Norman will host a “Food Fight” along with team captains Tom Parker Bowles and Mark Hix, and you are invited to enter your homemade produce into one of the Flower and Fodder classes, which will be judged by Rose Prince. For full details and to purchase tickets visit the website. The Beach at Bude is now running happy hour daily from 4 to 6pm. On Fridays and Saturdays, this includes a cocktail special, which changes weekly and is usually announced via their Facebook page. They have also recently introduced 2 and 3 course set menus in the bar and restaurant at lunchtimes and a discounted bar menu between 5.30 and 6.30pm, with Beach Club loyalty card holders enjoying even better deals and offers. For more details, to find out more about Beach Club membership or to book a table, call the hotel on 01288 389800 or email [email protected]. This video is guaranteed to make your mouth water – check out Buttermilk‘s short film about how they make their fudge. Congratulations to the team on their success in winning five awards from Taste of the West, making them the most awarded confectioner this year. They won gold for their Chocolate Coated Almond Brittle, silver for their Luxury Chocolate Fudge, and were highly commended for Smooth Clotted Cream Fudge, Luxury Caramel Sea Salt Fudge, and Luxury Vanilla Fudge. 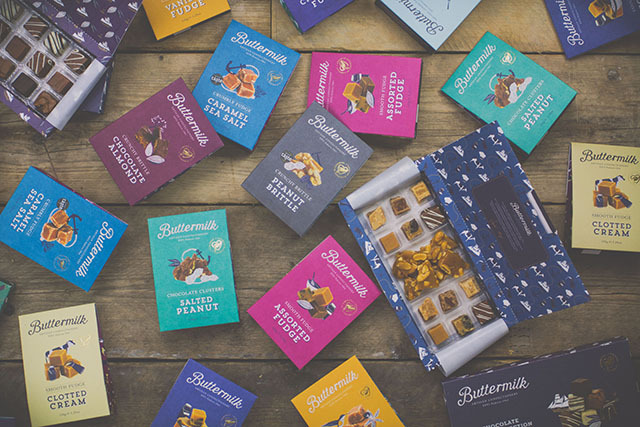 You can buy their products online at www.buttermilk.co.uk and they will be showcasing their new products for the first time at The Royal Cornwall Show. To mark English Wine Week (28 May to 5 June) and to celebrate the launch of their 2011 Vintage Sparkling, Knightor Winery is throwing open the doors to their newly renovated barn at their vineyard in Portscatho. 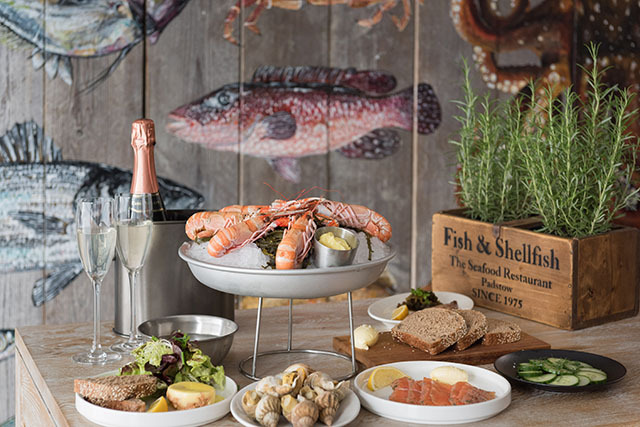 There will be tours and tastings on select days throughout the week and on 2 June, the team from The Watch House in St Mawes will take over the barn for a pop up fish feast. 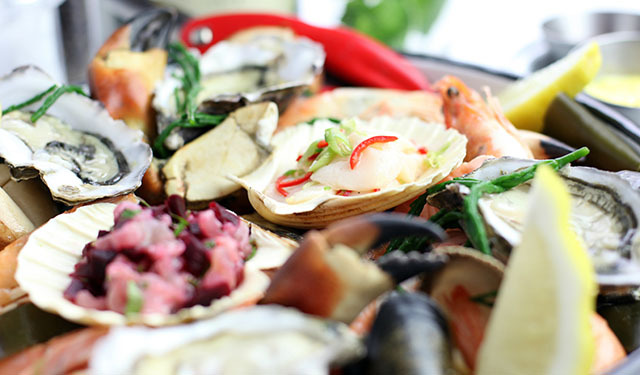 The menu includes a delicious sounding “chilled and grilled” fruit de mer platter. Tickets are £35 per person for three courses or £45 if combined with a wine tour and tasting beforehand at 5.30pm. Drinks can be purchased on the night and there will be an expertly paired wine flight available. Tickets to be purchased in advance, available online. Bustopher Jones in Truro is launching new “bottomless brunches” on Saturday and Sunday mornings, with unlimited Prosecco for £15 per person (I think this may prove popular). 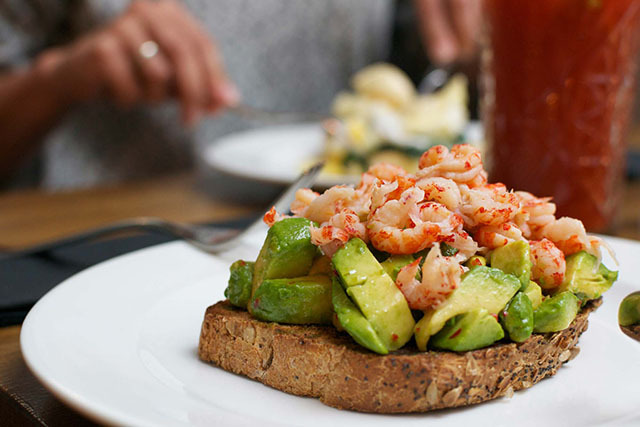 The menu looks fab and includes spiced avocado and crayfish tails on seeded toast (pictured), croque monsieur with a fried duck egg, and crab rarebit on sourdough. 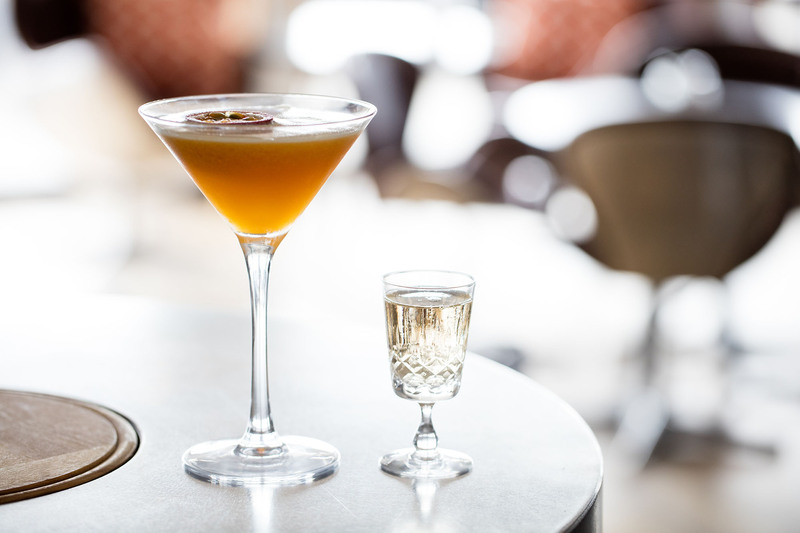 Also new at Bustopher’s is a happy hour with two cocktails for £10 between 5 and 7pm, Monday to Thursday, and, if you can still focus after all that, then check out their latest art exhibition which launches on 16 June. For more details see their Facebook page. 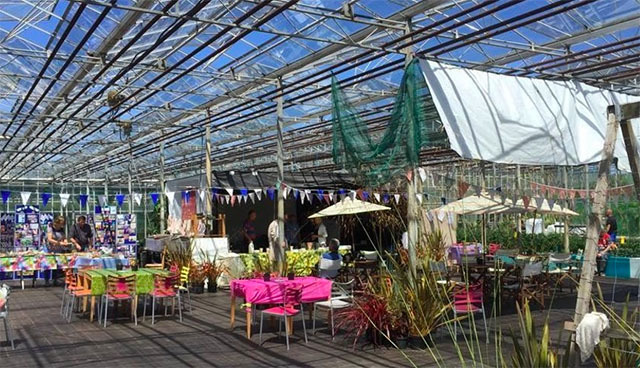 Don’t miss the Big Lunch at People and Gardens’ HQ, Watering Lane Nursery near Pentewan, on Sunday 12 June. Entry is free but please RSVP. Bring your own blankets/chairs, a dish or two to share, and drinks. Bring your family, friends, children, neighbours…but no dogs, sorry. Visitors will be able to have a wander around the nursery to see what’s growing and meet the staff. The Stein family has opened a small seafood bar in Padstow, which will run alongside their fishmongers on South Quay. The bar will be open every day from 12 noon until 4pm until November. The simple menu includes super fresh oysters, crab and lobster as well as eels, whelks and rollmops, and a wide selection of wines. The communal bar and table seats 24; no reservations. Cornwall’s biggest annual event, The Royal Cornwall Show, takes place from 9 to 11 June. Visit their website for full details. The Old Quay House Hotel in Fowey has welcomed new head chef Richard Massey to the kitchen. Lunch is now available from Wednesday to Monday; we recommend booking a table outside for glorious views across the water. Little Kitchen Magicians are holding children’s cookery workshops at Heartlands on 11 and 18 June. Lucas Hollweg returns to Dolly’s in Falmouth for another of his legendary pop-up suppers on 11 June. Highly recommended! Full details on their Facebook page. Spotty Dog Cider, based in Wadebridge, has recently launched two new ciders – Quencher, a still medium fruity cider, and Seadog, a medium bittersweet sparkling cider. Available at Padstow Food Fair plus selected shows this summer. For gorgeous food, check out Beautiful and the Feast, a travelling horse box kitchen. Look out for them at a spot near you. Philleigh Way Cookery School‘s June courses include sushi and barbecue. Check out their full range of courses online. Polgoon is hosting a food and wine evening on Friday 17 June. The event kicks off at 6pm and tickets are £15 per person, which includes at least six food and wine/cider tasters. Riverford Cornwall is running their first vegetable cookery course on Thursday 16 June at Lanhydrock Memorial Hall. The course is two hours and costs £25. Due to popular demand, this month sees two Secret Supper Clubs at Lusty Glaze Beach, on 16 and 23 June. To book tickets visit their website. Fifteen Cornwall has recently celebrated its tenth birthday, with a visit from Jamie Oliver himself to the restaurant overlooking Watergate Bay. Take the Cream Tea Coast Path Challenge! Cornish Hampers has created a route along the South West Coast Path to include twenty top spots where you can enjoy a cream tea. A hamper will be awarded to the first person to complete the trail. BinTwo in Padstow is holding its first “Flight Club” on 23 June, with a journey into the world of sherry. £15 per person. James Strawbridge has been appointed as executive head chef at Havener’s Bar and Grill, a new quayside restaurant opening in Fowey in July. Nathan Outlaw will be signing copies of his latest book “Everyday Seafood” at 3pm on 2 June at Padstow Bookseller. 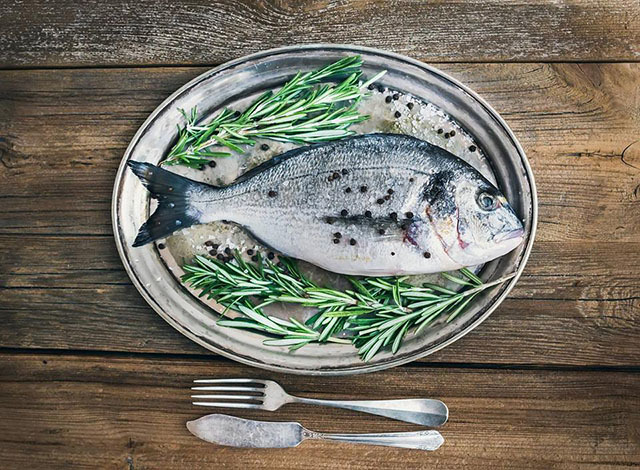 The Hidden Kitchen in St Ives is hosting guest supper clubs this month, with Katie’s Cornish taking over for the weekend on 17 and 18 June and Naoko’s Kitchen on 23 June. Congratulations to Treglos Hotel at Constantine Bay, which has received a second AA rosette for great food. St Ives Gin Festival takes place on 18 June. For tickets and more details visit their website. The Great Cornish Food Store opens in Truro on 16 June, with an in-store café run by Paul Ripley, plus butcher, fishmonger and deli. The shop will be located at the new Waitrose site on Newquay Road. Trevibban Mill is celebrating English Wine Week with extended opening hours and extra vineyard tours. The Wednesday tour kicks off at 4pm and will be followed by a barbecue on the terrace. Visit their website for more details. Congratulations to Harbour Lights, who have just opened a new fish and chip shop, Fraser’s Fish and Chips, in Penzance. Please send us your news for inclusion in the July Foodie Diary by email before 20 June.